It’s beautiful and sunny outside! 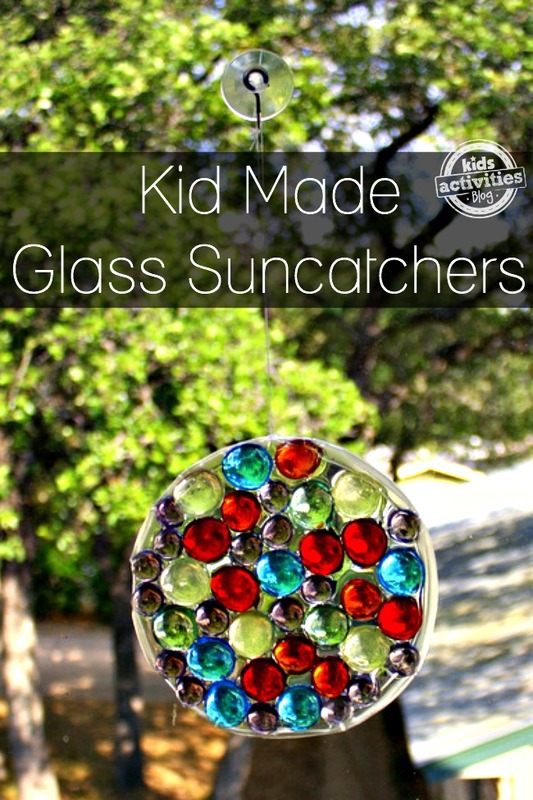 You can also take advantage of all that sunshine with pretty homemade sun catchers. 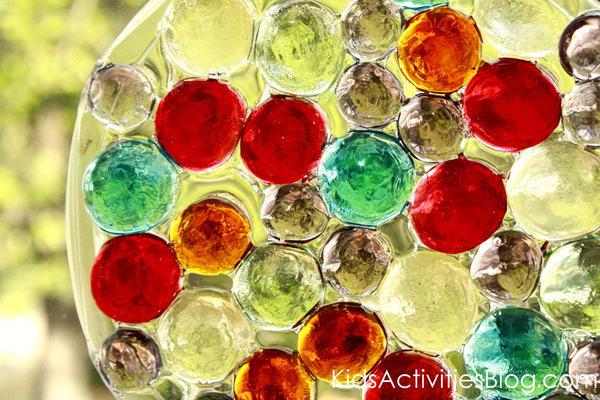 Here’s an easy way to make a unique glass gem sun catcher from materials you may already have around your house. Arrange the glass gems in the lid. Encourage your kids to fill the whole space; it looks prettier. Allow the glue to dry for 3-4 days. Peel out of container. Find a section of the sun catcher near the edge where the glue is relatively thick. Push a threaded needle through that area. Figure out how low you want the sun catcher to hang and tie a knot there. Hang your new sun catcher on a window that gets lots of sun or in a dim room that needs brightening up! 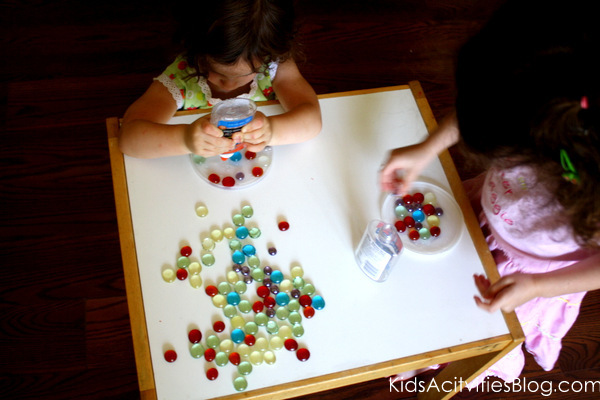 **Remember, this is not a good craft for children under three without adult supervision because the glass vase gems are choking hazards. What a great idea! Thank you!!!! This would make easy christmas gifts! What size yogurt containers do you use? Gonna have to try this with my child care children…we have a tree outside we hang wind chimes on, I think suncatchers will be a NICE addition!!!! Or even hanging in our classrooms!!! YAY!!! I love your site…BTW!!! Thank you so much, Tracy! I hope the kids in your childcare have fun with this! What kind of thread/string did you use to hang it? I’m concerned about it ripping through the glue. Also, did you add more glue as it started to dry? I’m noticing that it is shrinking a lot but I couldn’t fit anymore glue it before it started drying. I have some deep vallies in some areas and I am not sure if adding more glue is needed or not.